Zip any size pack onto your ABS Vario Base Unit. This way you have the option for different sizes, without the price of an entire system. The ABS® Vario line is the patented best-practice solution for the individual demands of freeriders, ski tourers and mountain guides. 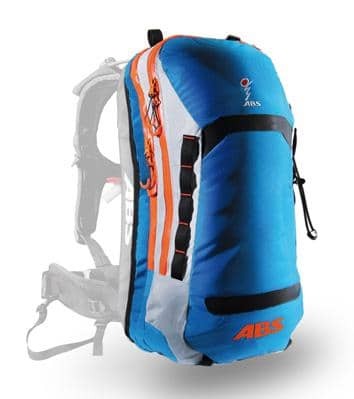 The twin system consists of the ABS® Base Unit with integrated ABS® TwinBag system and the Zip-Ons with packed volumes of 15, 18, 25, 30, 40 and 50 liters. Whatever your plans are  whether short, single- or multi-day tours, you are always reliably protected with the right backpack system.